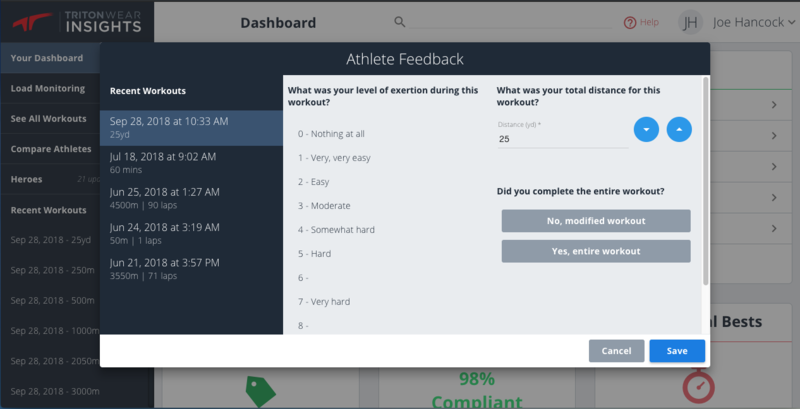 To receive athletes' load numbers for a session, each athlete enters their RPE after every workout. Confirm whether or not they sustained an injury during the workout. 3. Click Done, select next athlete, and repeat. 1. When you log in to Insights, you will see a pop-up with a list of sessions missing your RPE. Click on a session under Recent Workouts. 2. 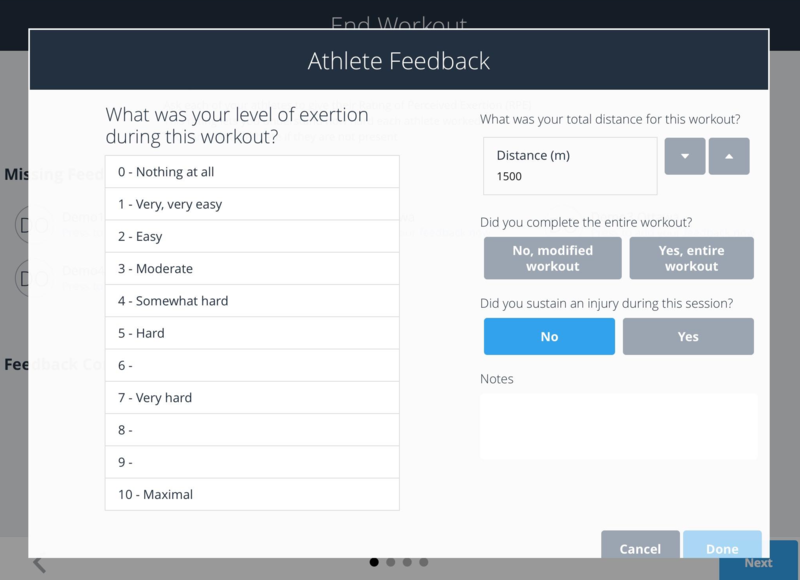 You can also input RPE through the Workout Results page.